At Baskerville Hall on the grim moors of Devonshire, a legendary curse has apparently claimed one more victim. Sir Charles Baskerville has been found dead. There are no signs of violence, but his face is hideously distorted with terror. Years earlier, a hound-like beast with blazing eyes and dripping jaws was reported to have torn out the throat of Hugo Baskerville. Has the spectral destroyer struck again? More important, is Sir Henry Baskerville, younger heir to the estate, now in danger? 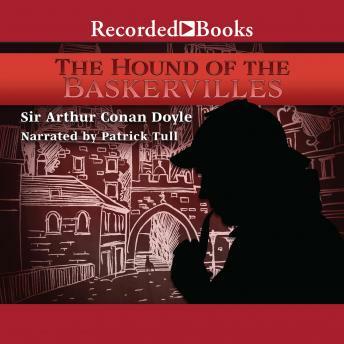 Enter Sherlock Holmes, summoned to protect Sir Henry from the fate that has threatened the Baskerville family. As Holmes and Watson begin to investigate, a blood-chilling howl from the fog-shrouded edges of the great Grimpen Mire signals that the legendary hound of the Baskervilles is poised for yet another murderous attack. The Hound of the Baskerville first appeared as a serial in The Strand Magazine in 1901. By the time of its publication in book form eight months later, this brilliantly plotted, richly atmospheric detective story had already achieved the status of a classic. It has often been called he best detective story ever written. It remains a thrilling tale of suspense, must reading for every lover of detective fiction.